If you post to your organization's Facebook page, you need to read this! On Tuesday Facebook made some significant changes to the way your status updates are ranked in the News Feed. According to Facebook, people generally don't like to interact with text updates (an update with text only, no images, or a text with a link only) from companies as much as text updates from their friends. So they've decided to demote the importance of text updates from companies in the News Feed. 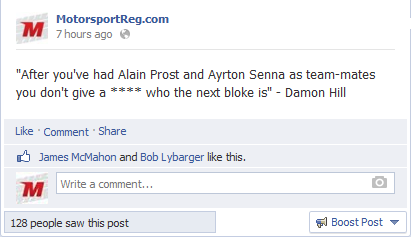 First, if you post from your organization's Facebook page, you are probably posting from a "company" page. Some organizations have Group pages, that are invite only. These changes do not affect Group pages. 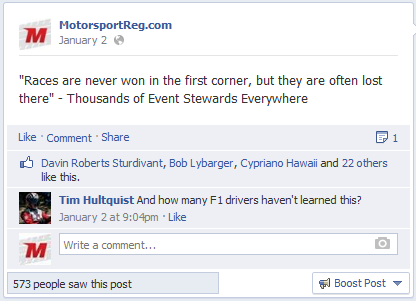 A very sad 128 people saw that post out of our nearly 1,400 fans. Now there are a lot of factors that go into the algorithm, so we can't blame it all on Tuesday's change. But what a difference! We've got some work to do. 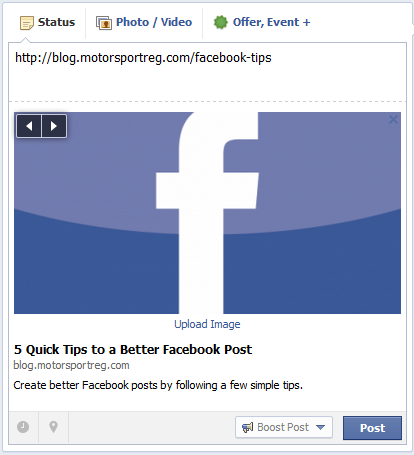 Read our blog- 5 Quick Tips to a Better Facebook Post. Just like the title says, they are quick and easy and will give your post a better chance of showing up in the News Feed. If you're adding a link to an update, be sure to take advantage of Facebook's link share feature- the image that automatically pops up when you post the link. In the example below, the Facebook image automatically popped up when I pasted in the link (because we used that image in our blog post). And the black and white arrows allow me to choose a different image if there are other images associated with this link. Remember, you're renting space from Facebook and they can change the rules at any time. So don't just rely on Facebook to spread your message. Find out what channels your attendees are on and use them all. (And don't forget the power of your email list).